Pacific Far East Line's board of directors has authorized the sale of three surplus vessels and 800 surplus steel barges to correct its current operating problems. The vessels are the luxury liner S/S Monterey, retired from service in early January; the luxury liner S/S Mariposa, to be retired in April; and its sole remaining barge-carrying ship, the S /S Thomas E. Cuffe. John I. Alioto, president of PFEL, stated that the sale could make available $18 million to pay current debts, which will stabilize the company's working capital position. 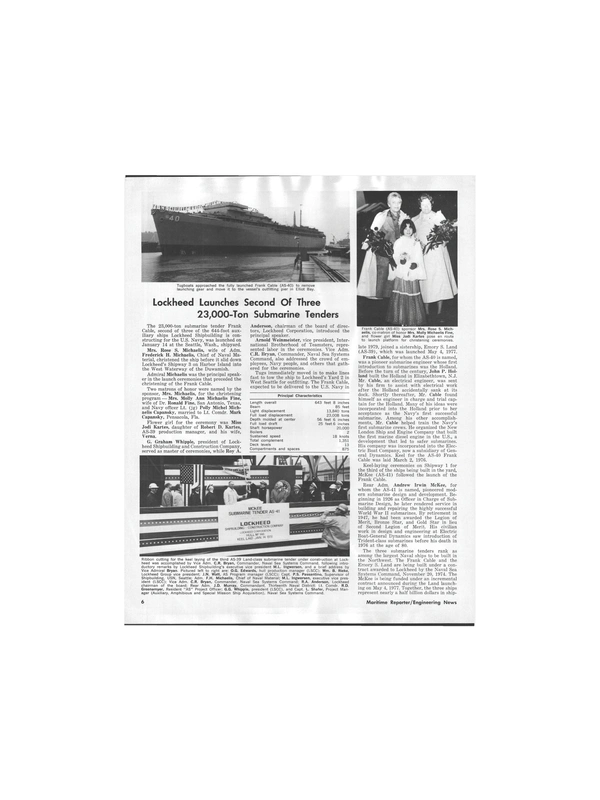 PFEL's present problems resulted from a combination of the 60-day East Coast dock strike, drydocking of its three LASH ships for conversion to container vessels in 1977, and unfair competition in the industry, which caused a general depression affecting all United States-flag shipping lines. PFEL's officials estimate that sale of its surplus ships and barges can be accomplished within three to four months, and with creditor approval can be handled without court intervention. The decision leaves unimpaired the company's Pacific service to the Far East and its East Coast service to the Middle East Gulf, both of which, according to Mr.
Alioto, are currently operating with positive cash flow.